The personalisation trend shows no sign of slowing down, and the latest customisation press release we received is a real winner. The bucket bag phenomenon kick-started in 2012 with Mansur Gavriel's minimal buckets, but now you can put your own stamp on the classic silhouette, thanks to Anya Hindmarch. Today, the London-based brand has launched its new build-a-bag concept, which lets you design your own bucket bag. This is like our grown-up version of Build-a-Bear—what could be better? From today, you can create your own unique handbag by following three simple steps. First up, you choose your handbag base, selecting the colour, size and leather type. 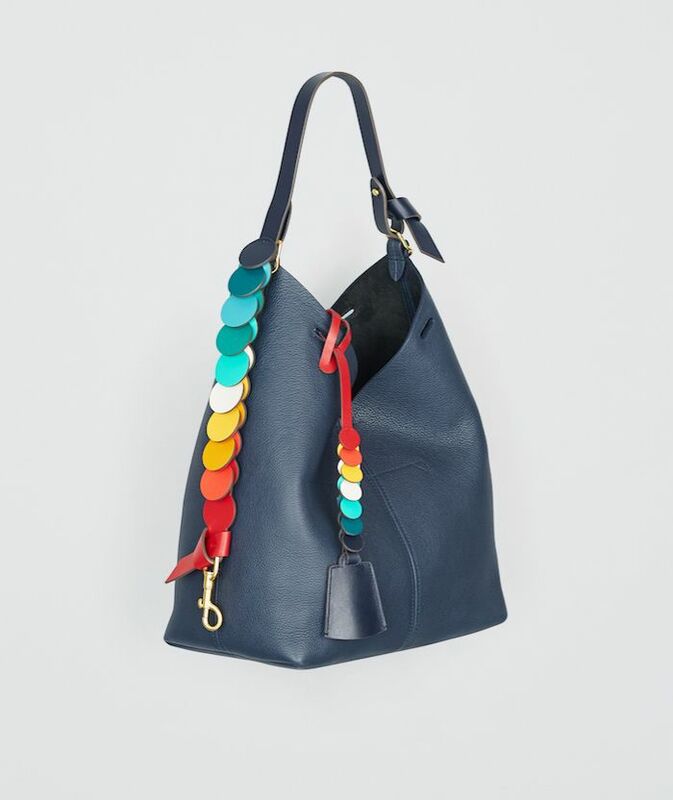 Then you can select your own handles and straps, choosing from a rainbow of colours. Then comes the fun bit—there are a number of accessories you can add, including bag charms, key fobs, tassels and stickers. If you're scared about ruining such an elegant bag, Anya Hindmarch says that's totally the point. "This bag is made from the most expensive full-bodied but very soft leather," she explains. "But with this beautiful and rich simplicity, it is fun to mess it up. Like my friend who would always have a charm tied on a ribbon to her father's wristwatch that she wore. It makes it yours and can make a beautiful and seriously made piece lighthearted." Ready to have a go? Head to AnyaHindmarch.com to build your own bucket. Next up, see our edit of the 50 best pieces to update your look for spring.